Newton established that refraction causes the dispersion of light into its constituent hues. He named seven colors, in symmetry with the seven distinct notes in the Western musical scale. 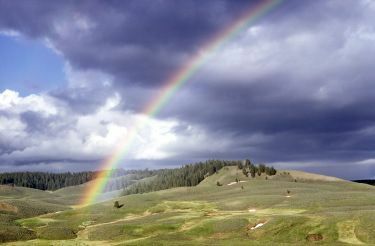 Rainbows, with their ephemeral quality and gorgeous hues, have fascinated us since the beginning of recorded time. The rainbow is deeply rooted in our history. It appears in the oldest of stories, as well as being ubiquitous in art and music. Isaac Newton established that refraction causes white light to separate into its constituent wavelengths. While he was not the first to demonstrate that a prism produces a spectrum of colored light from incident white light, he showed that a second prism could recombine the colors to create white light again. He also demonstrated that the individual colors remained constant when shone through a prism again. This was in stark contrast to the consensus that the prism itself produced colors. Newton’s contribution created a new understanding that white light is a mixture of colored light, and that each color is refracted to a different extent. The different colors correspond to light with different wavelengths, and are refracted to differing degrees. This separation of colors is known as dispersion. Once the colors in sunlight are separated by refraction, we are able to distinguish them in the splendor that is a rainbow. 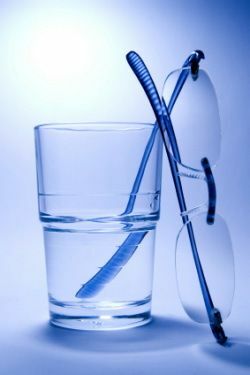 The refractive index (n) of a medium such as air or water tells us how fast light travels in that medium. 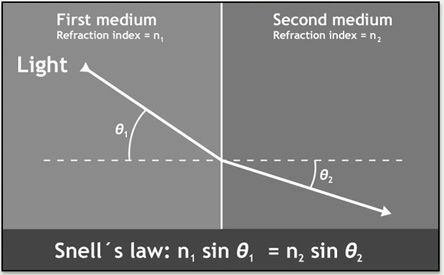 It is the ratio of the speed of light in a vacuum (c) to the speed of light in this medium (v): n = c / v.
The bending of a light as it crosses the boundary into a different medium is determined by its refractive index, or how much the light is slowed down in the new medium. 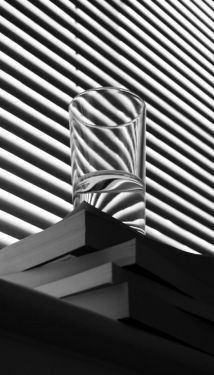 We see objects "breaking" at the boundary between media of different density because of refraction. Light rays are bent, or refracted, because light travels at different speeds in different media. Unless the light ray meets the boundary at exactly 90°, the direction of travel will change and the light ray is "bent." 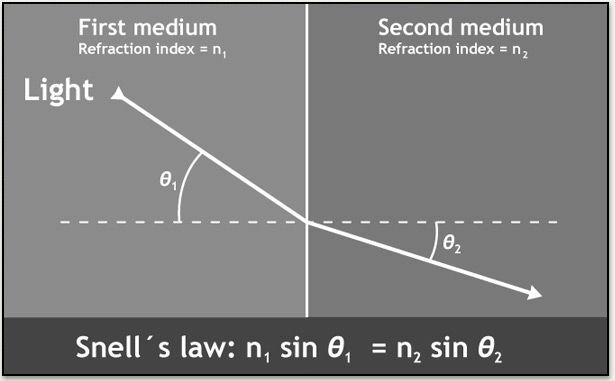 The relationship between the angle of incidence and speed in the first medium and the angle of refraction and the speed of the refracted light in the second medium is given by Snell’s law: n1 sin θ1 = n2 sin θ2 (where θ1 = incident angle, n1 is the refractive index of the first medium, θ2 = refracted angle, and n2 is the refractive index of the second medium). The reason that light travels more slowly in a higher density medium is that light interacts with the particles in its path. When light traveling through space to the earth meets the atmosphere, light is absorbed and then re-emitted every time a photon of light collides with an atom of air.